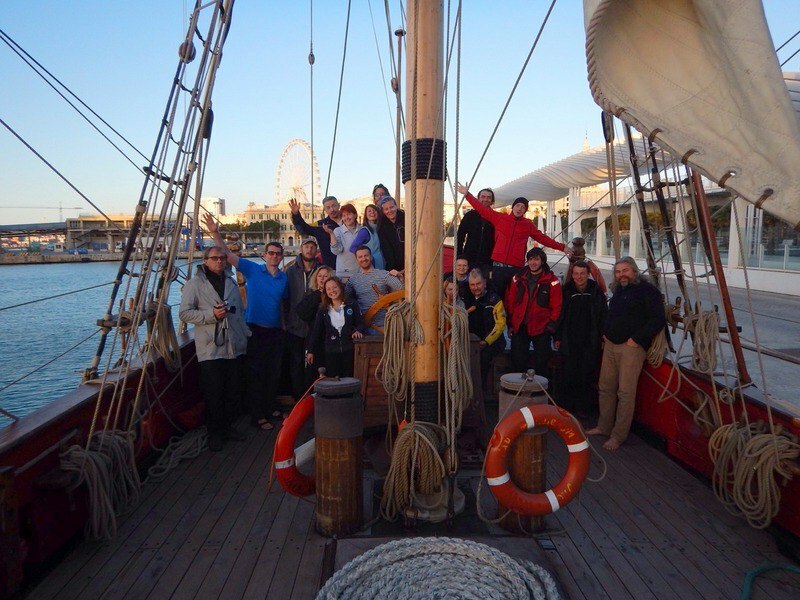 Shtandart invites you to participate in our week-long sail-training trip that starts and ends in Spanish Málaga. Returning to where we’ve started allows us to pick the most interesting route with respect to expected winds. The most likely option would be to go to Africa and back with stopovers at Alborán Island and in the Spanish port of Ceuta on Northernmost point of the hottest continent. We’ll start in one of the most ancient Spanish cities, founded more than 3000 years ago. Here a tangled maze of narrow medieval streets lives side by side with the blocks of modern skyscrapers. From the Picasso promenade you can get to the Banderas promenade. Before we leave you can take in Málaga as much as you want, you can visit the main attractions such as the castle of Gibralfaro, the Cathedral of Málaga, the Roman Theatre built in the 1st century B.C. under the orders from Octavian Augustus, and the Alcazaba of Málaga. The itinerary will depend on the weather condition, primarily the wind direction. Be ready for an intensive program aboard. 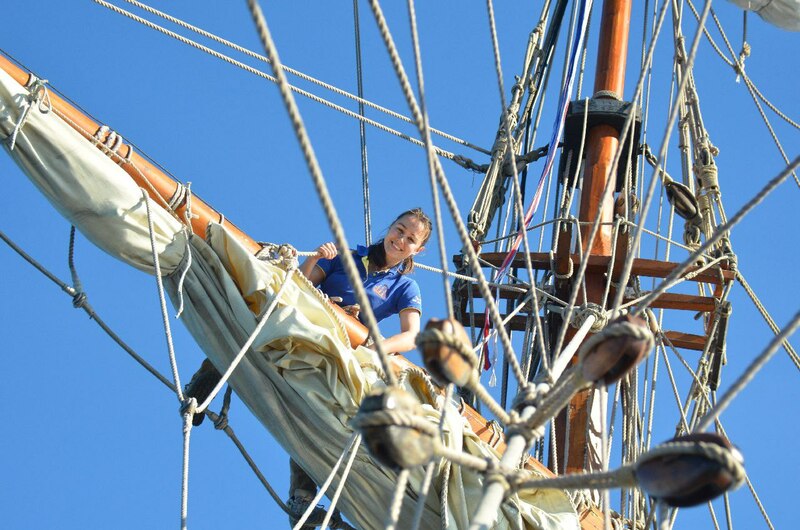 We will practice sail handling, pay special attention to tacking, we’ll learn knots and climb the rigging like real salty sailors. You’ll get to apply all theory shared with you by our experienced crew to practical tasks right away. After some good work you’ll need a good rest. We’ll mix and match the dockside stopovers at the marinas with anchorages by the most picturesque beaches along the coast. Dive off the deck in the day, stargaze and calculate the ship’s coordinates using the sextant in the night. In the Alboran Sea we will stop by a volcanic island by the same name. We will visit Ceuta on the African coast, so that we get a chance to see Spain from the other side of the Gibraltar Strait. If you’re so inclined you can visit the Church of Santa María de África, enjoy an Arabic sauna, buy souvenirs at the Moroccan souq or take a walk to the ancient fortress of Monte Hacho. 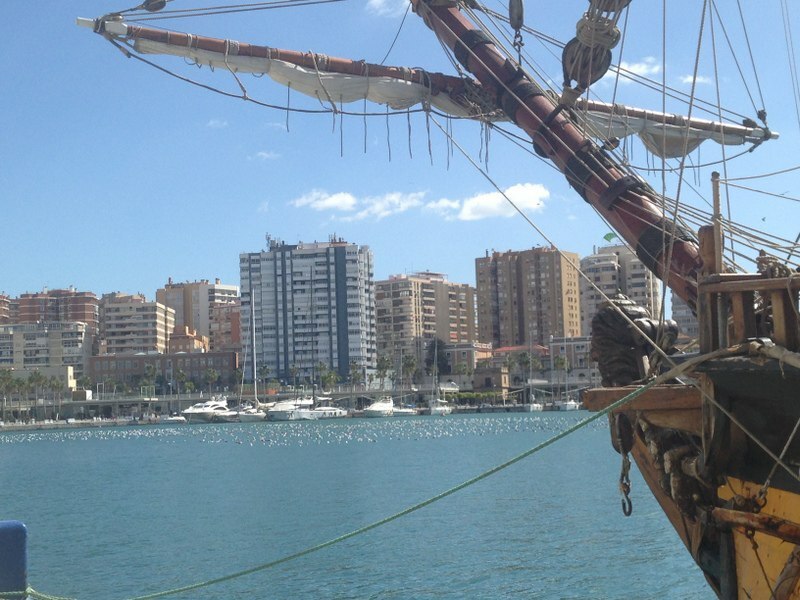 Málaga won’t change much when we’re back in a week, but you will be completely different with new knowledge and experiences, new friends and an indubitable wish to come back aboard the gorgeous frigate Shtandart.